The energetic Sarah Lohman, the historic gastronomist who writes FourPoundsFlour, suggested we swap recipes and cross bake and cross blog. So here's the bake-off report from Brooklyn. Sarah often cooks from very early (and very exotic) recipes. Me, I prefer to stick to the 20th century, because the recipes seem both modern enough (providing the pleasure of recognition) and more delicious than the current day versions (providing the pleasure of discovery). 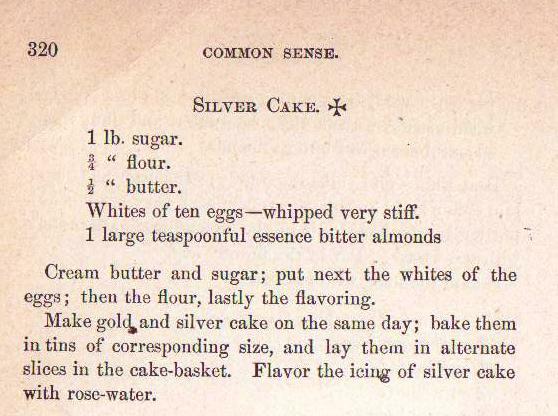 Still, I selected two recipes -- Gold Cake and Silver Cake from Sarah's c. 1884 book, Common Sense in the Household. The idea is to make them simultaneously, as Gold Cake calls for 10 egg yolks, while Silver Cake puts those 10 leftover egg whites to good use. 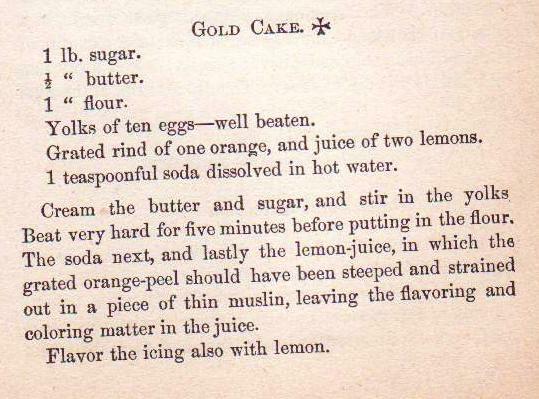 I made Gold Cake first and while the flavor was excellent -- very citrus-y -- the layers sagged in the center, always a disappointment. (I'll never know if it was because I nearly forgot the flour, and added it only at the very end.) And the top of the cakes formed a crust that cracked easily, something I haven't encountered before. 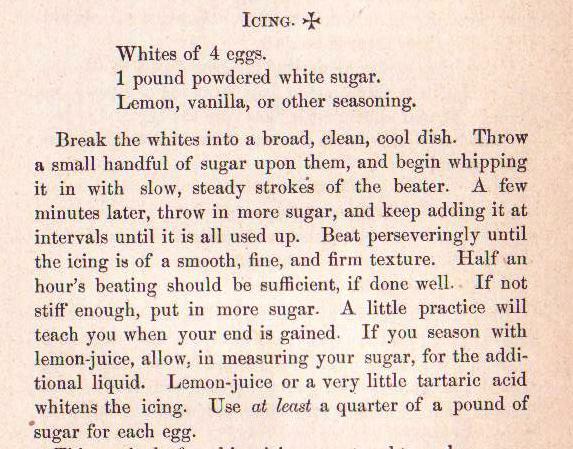 I paired it with the suggested icing, basically raw egg whites (weird but true) into which confectioners' sugar is whisked, with the juice of a lemon for flavoring. 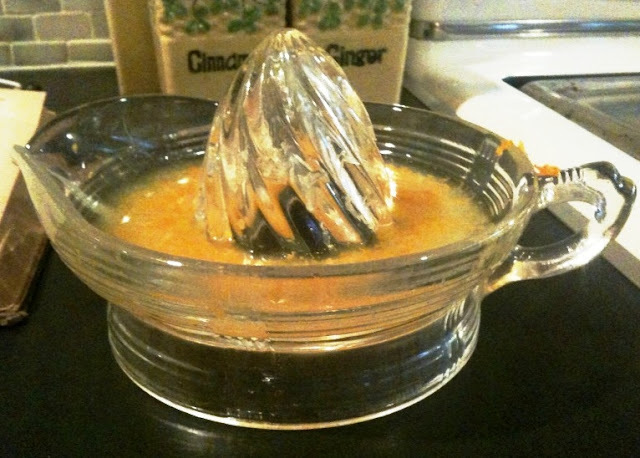 I really recommend getting one of these old-fashioned glass citrus extractors (or whatever they're called). They're excellent for getting out all the juice with very little effort. And no moving parts to break! Silver Cake looked much better with its even layers and fine crumb, and I preferred the taste, even though I forgot the vanilla flavoring. 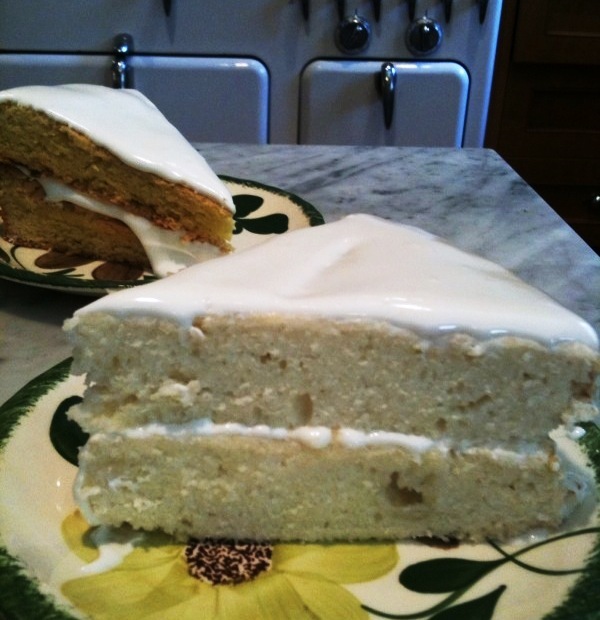 What torpedoed this cake for me was the icing. I made the same egg white-confectioners' sugar mixture, but added the suggested rose water for flavoring. It was like eating tea rose perfume, a perfume I used to wear in junior high school, at that. Guess I should have thought twice when the sales clerk at the middle eastern store where I bought it suggested that I splash the rose water on my face. "There is no royal road to good fortune in cake-making...Yet sometimes when you believe you have left no means untried to deserve success, failure is your portion. What then? "If the cake be uneatable,throw it away upon the first beggar-boy who comes for broken meat, and say nothing about it. "If streaking or burned, cut out the best parts and make them presentable as possible, and give them to John and the children as a 'second-best' treat. Then keep up a brave heart and try again. You MAY not satisfy yourself in a dozen trials. You certainly WILL not, if you never make another attempt." 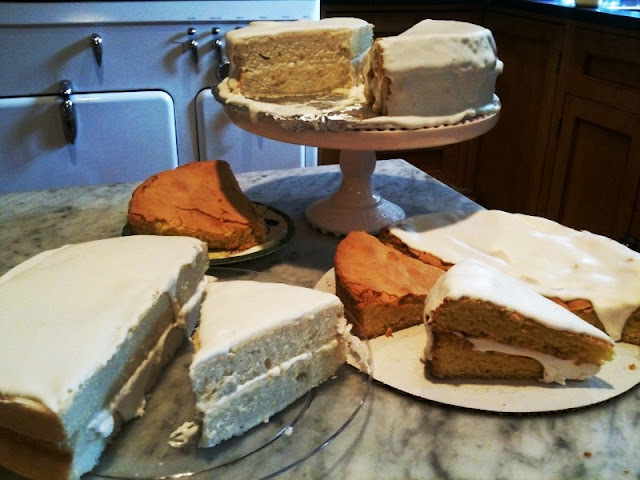 I still have a lot of these cakes here; no beggar boys have knocked at my door and DH really isn't into "second best" treats, though the Gold Cake seems to be disappearing. Love this entry, Sue! Makes you nostalgic for quaint old days when beggar-boys would come to the door?! The whole rose water thing is pretty interesting. Have you ever seen it used for flavoring in other things? i long for those days. now we only have beggar men and they're in the subways! @Anonymous: And above ground too. Just the other day, while near the midtown tunnel, DH and I were approached by a squeegie man. Felt like I was back in the 1980s.